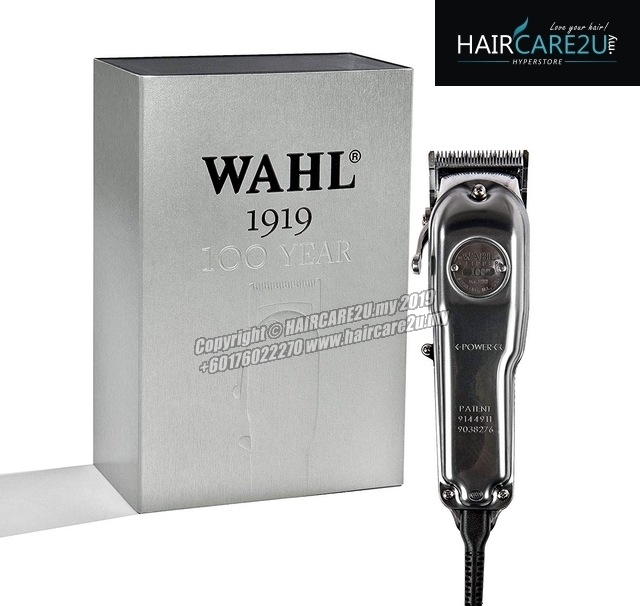 "One century ago Leo J. Wahl invented the first electric hair clipper. 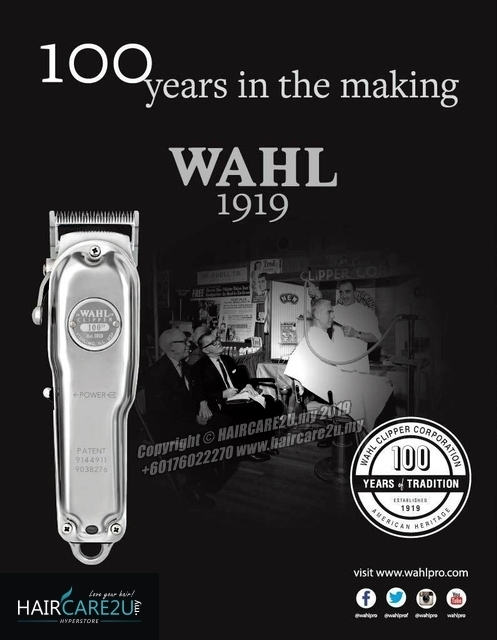 Today WAHL is the world market leader for professional hair clippers and became iconic amongst barbers. 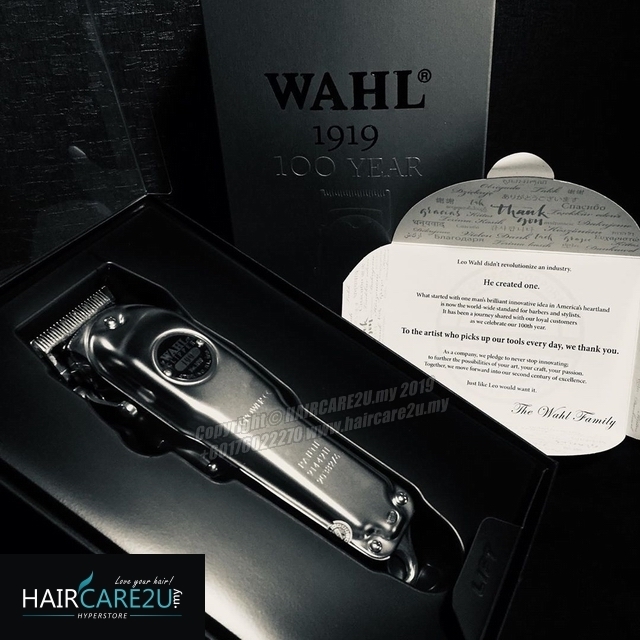 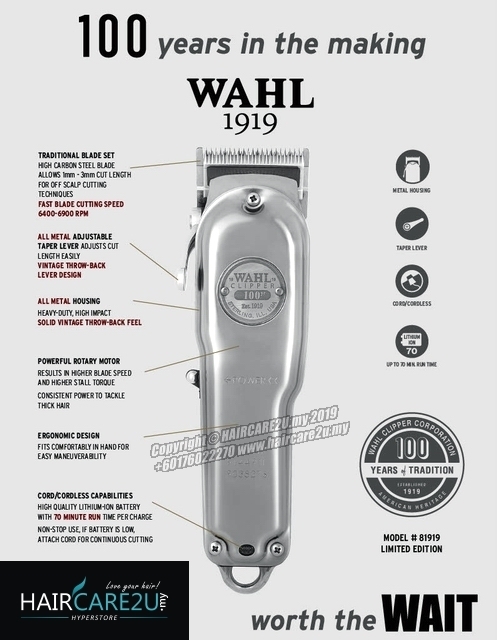 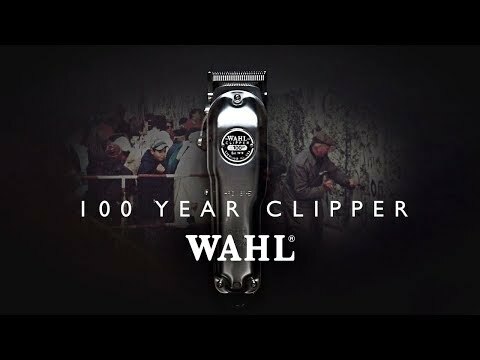 On the occasion of the 100th anniversary WAHL presents a limited edition which will make barbers’ hearts beat faster: the 100-Year-Clipper. 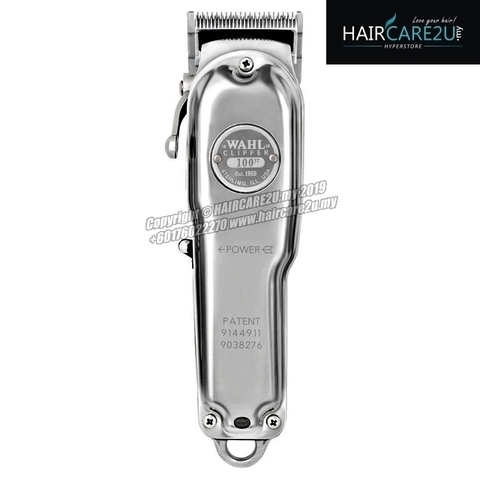 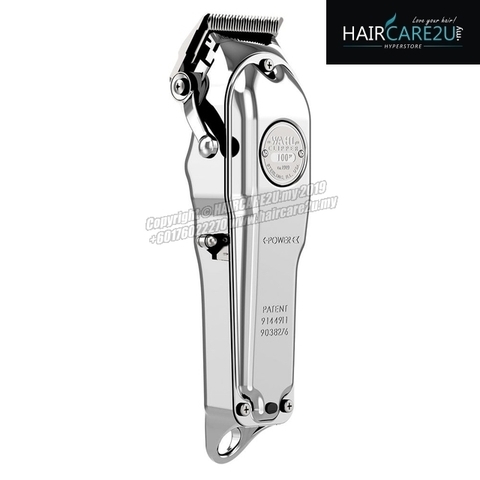 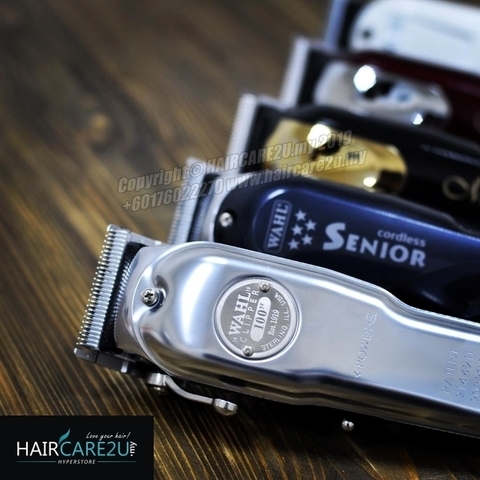 Optically based on the first hair clipper this anniversary version elates with its outstanding retro chrome design. 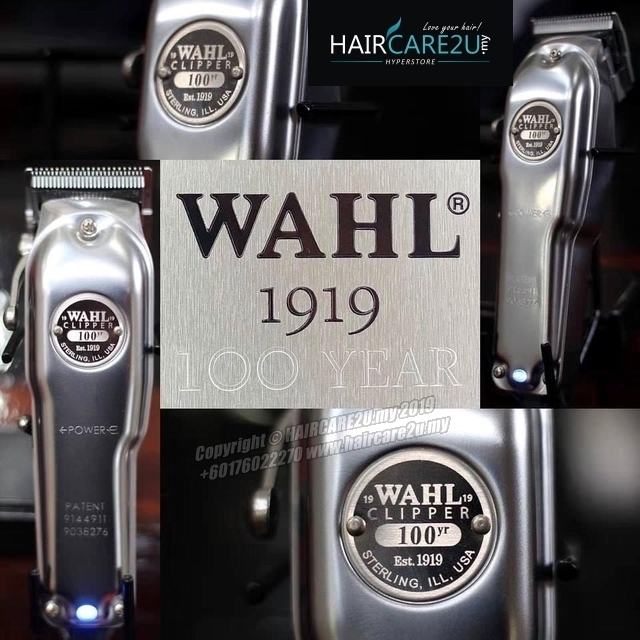 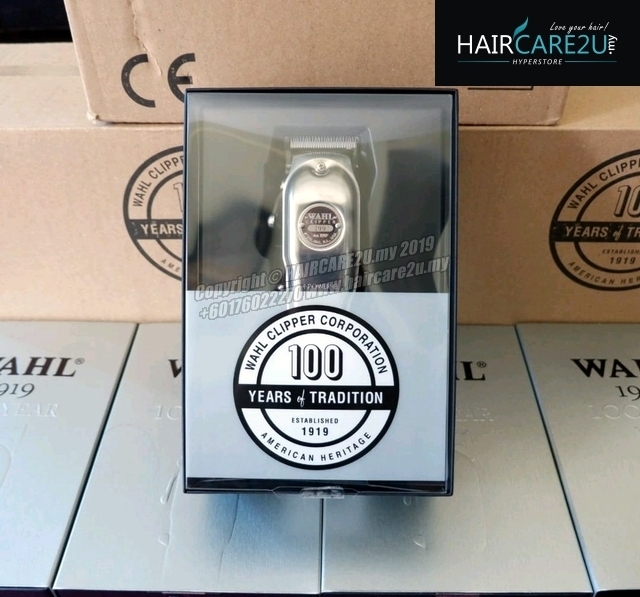 Like every WAHL hair clipper, the 100-year-clipper is exceptionally robust. 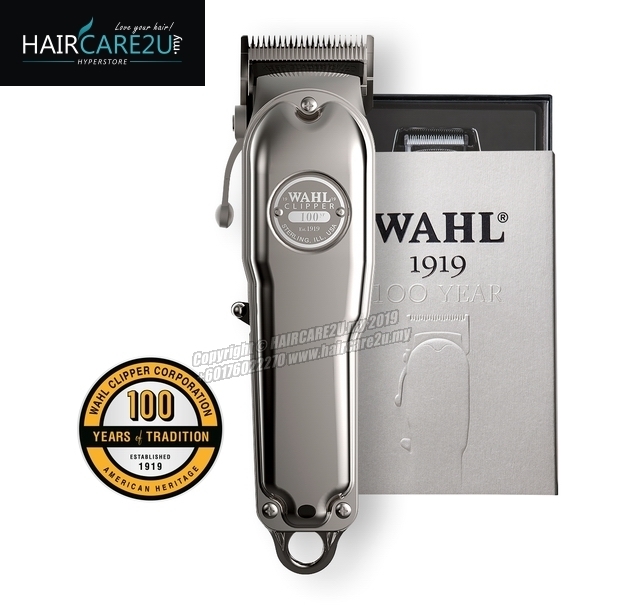 Due to its full metal vintage housing it is particularly durable and shockproof. 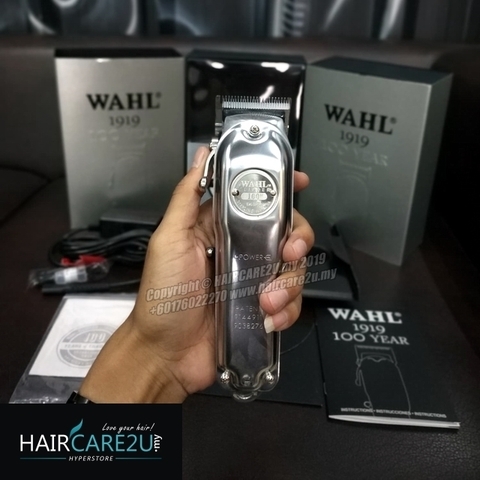 In addition, its extremely powerful DC motor ensures a strong cutting performance even in very thick hair. "